After two days of negotiations, government delegations of Germany and Namibia on Tuesday, January 31, 2017, initialled a bilateral merchant shipping agreement in Windhoek. This is bound to further strengthen and develop economic relations between the two countries and to promote Namibia’s transformation into a logistics hub for the Southern African region. The German Federal Ministry of Transport and Digital Infrastructure was represented by Director General Reinhard Klingen, head of delegation, Mr. Peter Escherich, Head of Department for International Maritime Policy, and Mr. Jürgen Göpel from the Department for International and National Affairs of Seafarers. 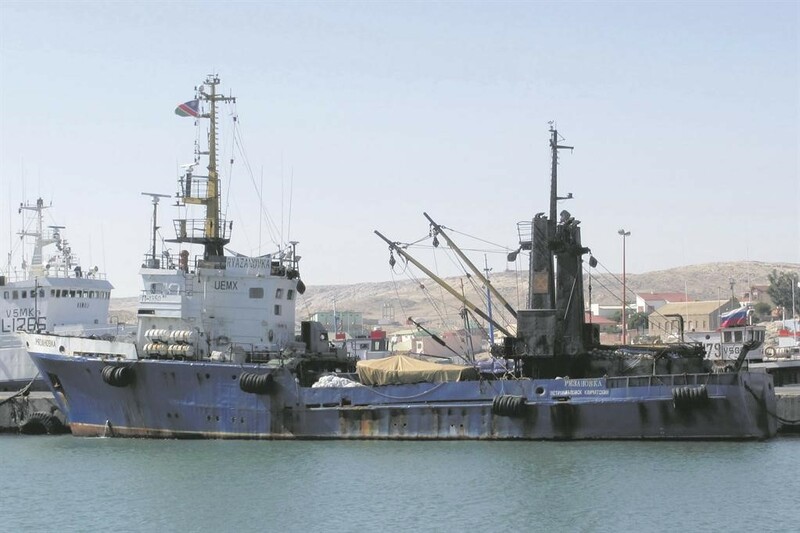 The Government of the Republic of Namibia was represented by the Permanent Secretary in the Ministry of Works and Transport (MWT), Mr Willem Goeiemann, head of delegation, Mr Cornelius Bundje, Director of the Namibian Maritime and Fisheries Institute (NAMFI), Mr Pinehas Auene, Acting Director of Maritime Affairs, Captain Lucas Kufuna, Port Captain – Port of Walvis Bay, Namibian Ports Authority (NAMPORT), as well as other senior officials from MWT, NAMFI, and the Office of the Attorney General. On February 2, 2017, the delegation is bound to visit Namport and NAMFI in Walvis Bay in order to explore possible areas of cooperation. Shipping is the most cost-effective way to transport the vast majority of goods in international trade and will be central for global sustainable development and growth. Germany ranks first in the World Bank’s global Logistics Performance Index 2016. Short turn-around times, the interlinking of different modes of transport and advanced logistics strategies help make this possible. Under the agreement and the envisaged cooperation projects, German companies can provide this know-how to make a major contribution to more trade and growth in and with Africa.